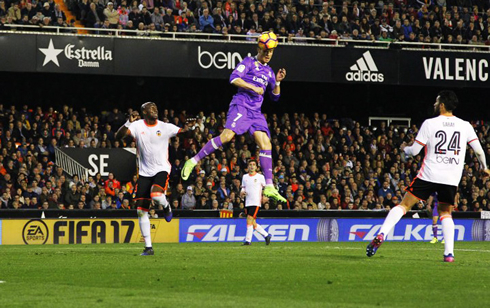 ﻿ Valencia 2-1 Real Madrid. First cushion lost! 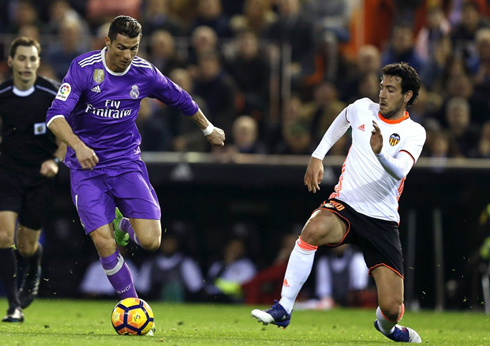 22.02.2017 » Valencia 2-1 Real Madrid. First cushion lost! 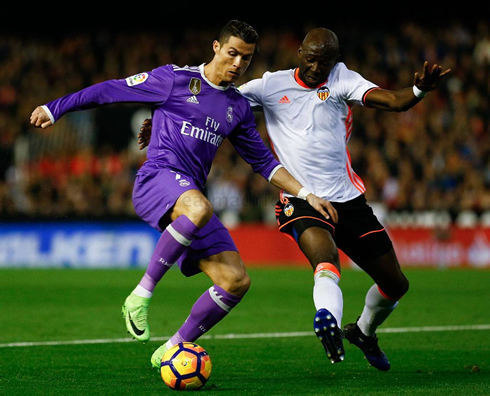 Games at the Mestalla are never comfortable regardless of where Madrid and Valencia are in the league and today was no different, as Valencia recorded a 2-1 victory over Real Madrid. Varane had an extremely poor game, especially based on his play this season. Hopefully it's not a trend that continues. The nightmare started early on, when on loan striker Simone Zara turned and hammered an unstoppable shot into the top corner in the 4th minute. Soon after, another new Valencia player, Fabian Orellana, slotted home after Nani squared the ball to him and Madrid were immediatlely two goals down. Cristiano Ronaldo would give Madrid a glimmer of hope with a header in the 44th from a Marcelo cross, but there would be no heroics today. 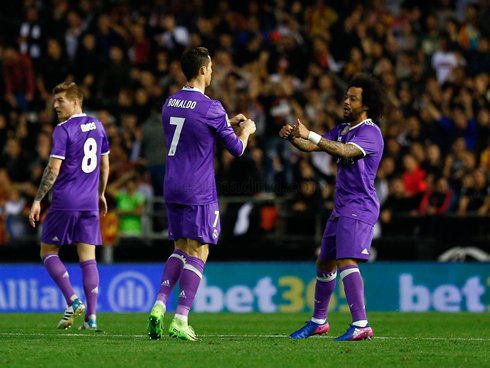 Real keep their one point lead over Barcelona, and though Madrid still have a game in hand. It's certainly closer than it should be at this point, considering Barça's failures this season. Attackers: James Rodríguez, Cristiano Ronaldo, Benzema. Cristiano Ronaldo next game is a La Liga fixture, on February 26 of 2017 against Villarreal. You can watch Juventus live stream, Villarreal vs Real Madrid, Atletico Madrid vs Barcelona, Manchester United vs Southampton, Tottenham vs Gent, and Fiorentina vs Borussia Monchengladbach, all matches provided from our soccer live game pages.